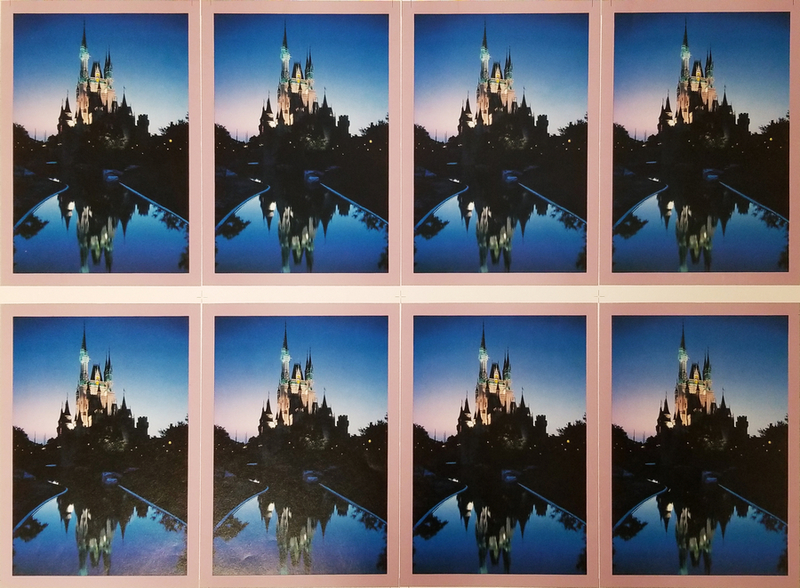 This is a printer's test print of an image of Sleeping Beauty Castle that was likely used as a poster image. 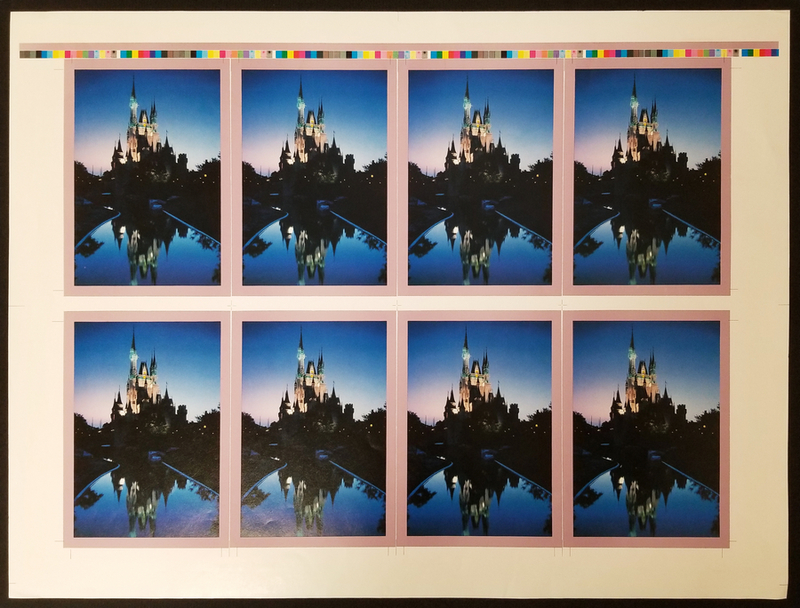 It appears the images may have slight color variances in order to color correct the image for the final printing. The print measrues 19" x 25" overall with each image measring 7" x 4.5" . The print is in good condition with =minoredge wear in the margins, away from image.